2018 was marked by a whole range of consolidations and buy-outs that directly or indirectly affected the aerospace maintenance, a trend which should continue this year and which will also affect France. Of course, the mergers of large groups (UTC-Rockwell Collins, Safran-Zodiac) were significant developments for the aviation sector due to their production-related aspects, but these consolidations could not help but have a major impact on the maintenance and service activities for their equipment also. This is also the case with the buy-out of MRAS from GE by ST Engineering in September for A320neo nacelle activities. For its part, the giant Boeing finalised the acquisition of KLX Aerospace Solutions, which specialises in the distribution of aviation parts, strengthening the activity of Aviall, a subsidiary of Boeing Global Services (BGS). Independent MROs have not been left out with the recent announcement in France of the buy-out of Sabena technics by the investment fund Sagard, in collaboration with Bpifrance and Towerbrook, an operation which should be finalised in the second quarter of 2019. In addition, the American investment fund Veritas Capital has entered negotiations with the Carlyle fund to take over the StandardAero MRO group. Still in the United States, the distributor Aersale has acquired Avborne in order to develop its equipment repair activities. BBA Aviation has bought out Firstmark in order to extend its Ontic subsidiary's after sales capacities, notably on the East coast. In France, Satys has finalised the acquisition of the British company Air Livery from the Indian Airworks group, so strengthening its aircraft painting activity. The Perpignan-based MRO company New EAS, which is currently in administration, could soon be announcing a new owner, as seven potential candidates have already shown an interest, including Israel's IAI, Dart Aviation or Sabena technics, who are the main favourite. 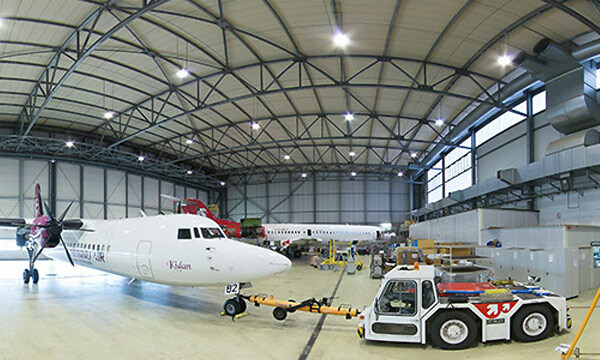 In Germany, Rheinland Air Service (RAS) took over its Saarbrücken airport-based counterpart Contact Air Technik GmbH to increase its maintenance capabilities on ATR, Q400 and Fokker. In terms of joint-venture creation, of which there were many in 2018 with companies being set up in new markets, we can highlight the creation of the agreement between Airbus and Thai Airways for the creation of a major maintenance hub at U-Tapao airport, around one hundred kilometres to the south east of Bangkok. Note that the French company Revima is also looking at Thailand with the creation of a modern maintenance and repair centre which will be dedicated to landing gear for the A320 and 737 families in 2020. In China, the leasing company CALC has joined forces with Lithuania's FL Technics via its Aircraft Recycling International subsidiary to create a maintenance joint-venture at Harbin. Still in China, Triumph has joined forces with the China Southern airline to develop nacelle maintenance capabilities (V2500 and PW4000 engines) with the possibility of setting up a new dedicated centre in Shenyang as a JV. Remember also that in Hong Kong the Swire group (Cathay) has decided to take over all of the capital of its HAECO subsidiary. In Singapore, GE Aviation has decided to join forces with the maintenance division of Singapore Airlines (SIAEC) to form a new joint company dedicated to GE90 and GE9X engines MRO. In India, the American company AAR has joined forces with Indamer Aviation to create a new maintenance centre in Nagpur as a joint venture. This MRO centre is already being built and in time could feature up to 16 bays for narrow body aircraft. Finally, a little closer in Europe, we can also mentioned the plans to create a maintenance centre between Sukhoi and Adria Airways to support SSJ100s on the continent.